Cinnamon Toast Crunch Peanut Butter Is Now a Thing — Plus 2 Other Cereal Flavors! Peanut butter and WHAT?! 😳 @peanutprinciple has really outdone themselves this time. They’ve got three new breakfast cereal-packed peanut butters: one with fruity crisps, one with cinnamon crisps, and one with cocoa crisps. Guys, sometimes you can’t explain why something works so well, but Fruity Pebbles + Peanut Butter WORKS. I swear to you, the cereal flavor jumps at you right out the gate before finishing with a peanut butter’s trademark saltiness. It doesn’t make any sense, but I love this. The Cinnamon Toast Crunch inspired one is predictably great and it’s equally PACKED. Definite pass on the cocoa crisp one: as you can see in the third picture, the texture isn’t very appetizing and the flavor just okay. But peanut butter lovers/breakfast cereal champions will want to buy the first two, available on the @peanutprinciple website now. The Junk Food Aisle reviewed each flavor — which one are you most excited to try? When it comes to a quick breakfast, I have two standards: peanut butter on toast or cereal with milk. But now, thanks to some absolutely glorious news, that's all about to change! On this, the most glorious day of my breakfast-loving life, I discovered that there is peanut butter out there that's inspired by all of my favorite cereals, from Cinnamon Toast Crunch to Fruity Pebbles. 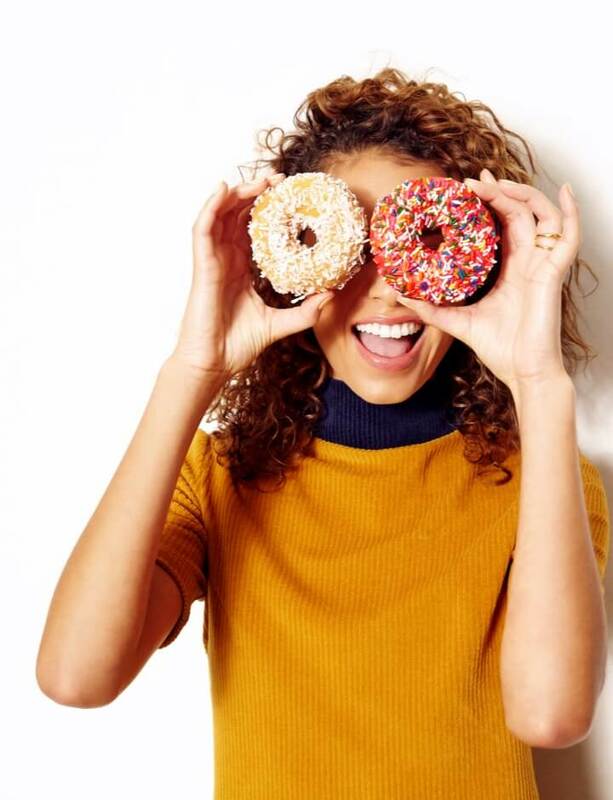 According to Instagram snack blogger Junk Banter, The Peanut Principle's three cereal-infused flavors of peanut butter contain actual bits of popular breakfast cereals. 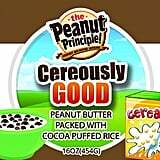 Available for $8 each, the three Cereously Good Peanut Butter flavors include Cocoa Puffed Rice, Fruity Crisps, and Cinnamon Crisps cereals. Per Junk Banter's taste test, the Fruity Crisps flavor is surprisingly delicious, Cinnamon Crisps is (predictably) awesome, and the Cocoa Puffed Rice leaves something to be desired . . . but, of course, we want to judge it for ourselves! Check out the photos of each flavor, and buy your own cereal peanut butter below. "Magically" Delicious, Indeed: Lucky Charms Is Adding a Unicorn Marshmallow!